We manufacture a competitive range of Digital Hygrometer, which are used in different applications. These products are widely known for their high strength and are available at reasonable prices. Our products are capable to record the minimum as well as maximum temperature and are available with dimensional accuracy. Our organization hold expertise in offering a wide range of Rotronic Hygro Palm 0, which is used for precision measurement of humidity and temperature. These are Swiss made and have i-point adjustment, which is performed in seconds. The comprehensive range of pantech relative humidity and temperature indicator offered by us is manufactured in line with the international quality standards. these are highly accurate in measuring with precise and easy readout options. 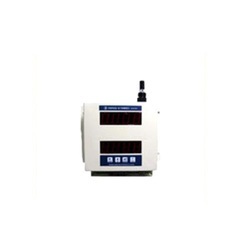 further, the unit is equipped with reliable keypad for ensuring easy calibration. 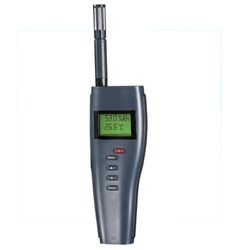 Pantech's relative humidity & temperature indicator is highly reliable and accurate with a 4 digit led display and a range of 0 to 100% rh and 0 to 60c temperature. We manufacture and export a wide range of digital lux meter model 540, which is available in various technical specifications. These are used for multi-point or timed mean calculation. Our range ensures precise and easy readout with utmost accuracy and known for excellent operation. Looking for Digital Hygrometer ?